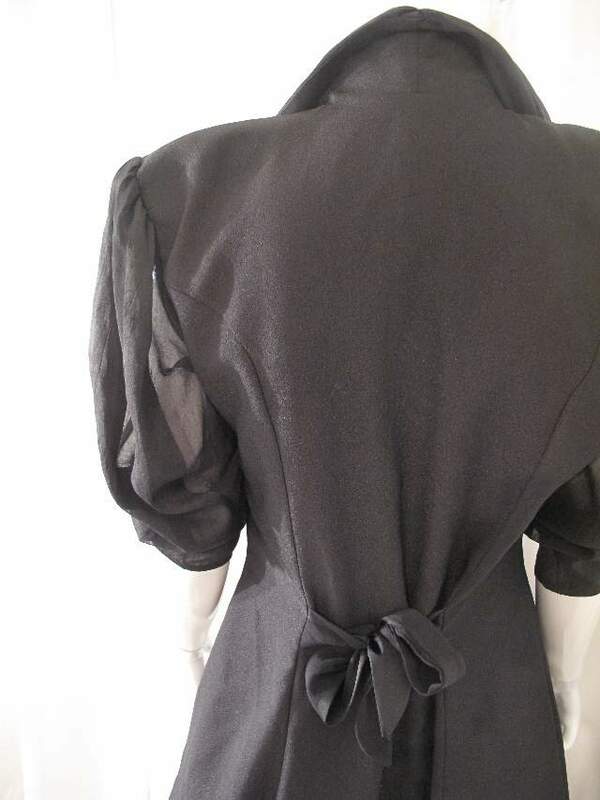 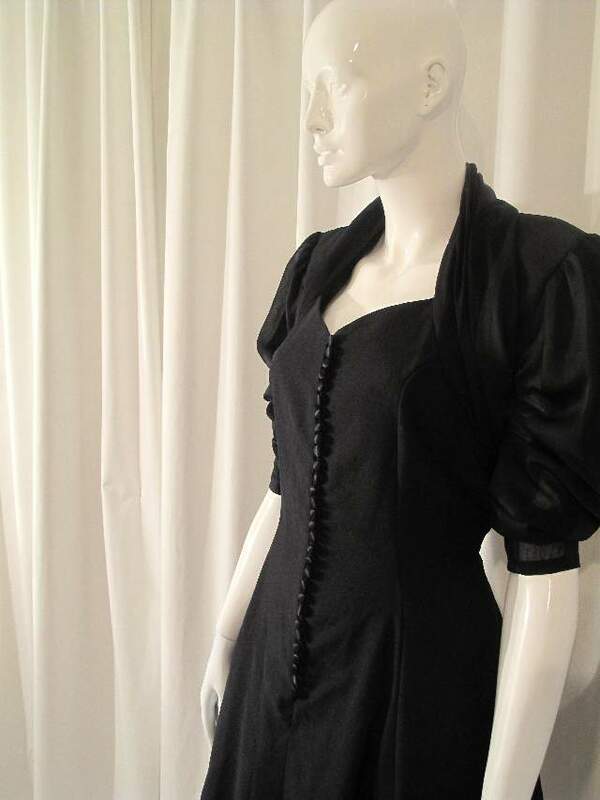 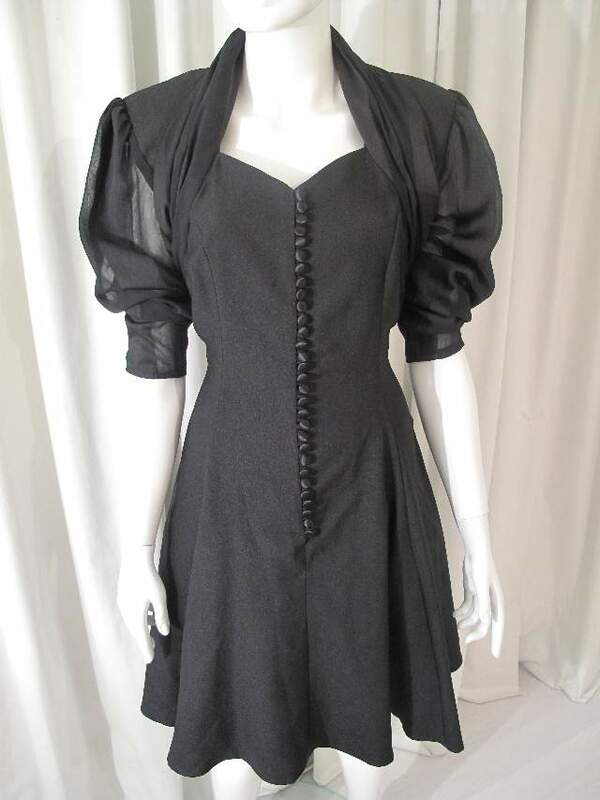 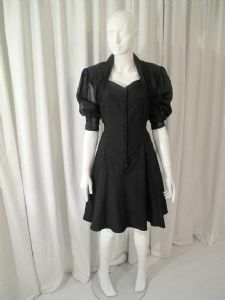 1980 s Black crepe panelled flare vintage dress. Panel dress with front fastening satin covered buttons and draped sweetheart neckline.The dress has padded shoulders and black chiffon sleeves. 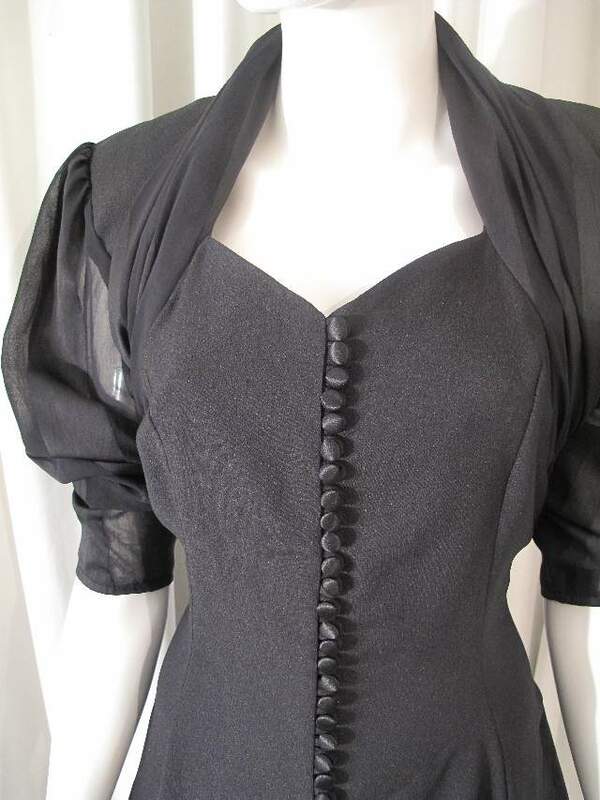 There is an internal gathered petticoat that makes the skirt stand out nicely and accentuate the waist.